What if I can’t remember my login or password? Your photo password is the same as your Walmart.com log on and password. If you’ve forgotten either of these please click here to reset your password. You can track your order here: https://photos3.walmart.com/account/orders. You may return an order with all original packaging, accessories and packing slip either by mail or to the Customer Service area at your local Walmart store. Photo Prints cannot be returned by mail. For more information please see Returns & Refunds. How can I get 1-Hour/Same Day Pickup? 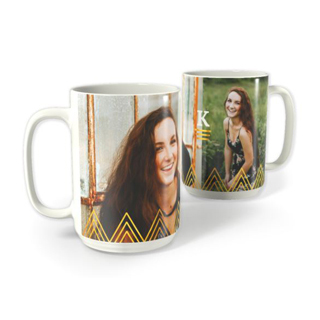 Visit our Same Day Photo Gifts page to help direct you to what we have available. Otherwise check the delivery options when you are about to select Create Now on an item. If they are blue, the selected item is available in that delivery option. What kind of photos can I upload and use? When you upload photos, you can upload JPEG (either .jpg or .jpeg) digital photos. 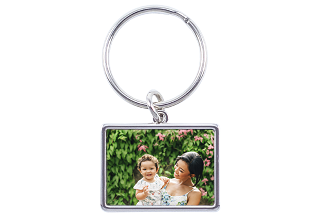 How can I add text to my photo gift? 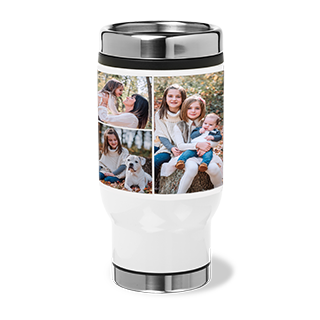 When you are creating a photo gift, click the T icon below the gift. This will automatically add a movable yellow box along with a toolbar to write and edit text. How can I customize the back of my greeting card? All of our folded cards come with customizable backs. In order to print on both sides of a flat card, you must select the Card Stock paper type. Under these selections you will see a back option when editing the product. What are the different estimated delivery times? Can I edit my order after it's been submitted? An order cannot be changed once it has been submitted to the vendors. You can cancel your order then reorder it under the My Photo Orders page. When reordering a product you will have the chance to edit it before checking out. Will my photos be stored permanently? Walmart.com Photo accounts are not intended to be used as permanent photo storage. The good news is that simply by signing in to your Photo account by September 16th, your account will remain active and images will not be deleted. However, please note that if your account later becomes inactive for 12 months, uploaded photos will be deleted. Unable to find the answer you need? Feel free to contact our live chat members (7am - 11pm CT) to help you with your queries. Need answers about Walmart.com products and services outside of the Digital Photo Center? 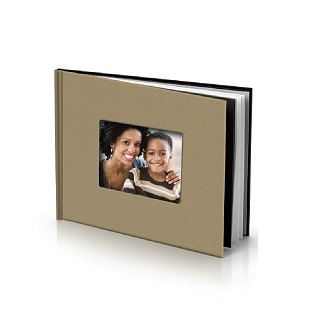 You will need a Photo Center account to upload, view, share and order prints of your photos. Your computer must meet the minimum system requirements. Please note: To create an account, you must sign up using our website. We cannot create your account over the phone or by mail. Click My Photo Account to open the create your photo center page. Enter your email address and other account information. Once you've created an account with the Photo Center, or if you already have an account with Walmart.com, you are ready to sign in. In the "Sign In" area, enter your email address and password. If you don't remember your password, we can send it to you at the email address registered with your account. Go to and find the Sign In area in the top right side of the page. In the Sign In area, click the "Forgot your password?" link. In the next window, enter the email address you used to create your Photo Center account and click Submit. We'll send your password to your email address within minutes. Check your email for the password, and then return to the Walmart Digital Photo Center and sign in. If you receive an error saying your password is incorrect, try entering it again to make sure you haven't mistyped it. Tip: Make sure the email address you enter is the one you used to set up your account. Passwords are case sensitive, so make sure caps lock is not turned on and enter the password exactly as you originally created it. If your password is not accepted, and you are sure you are entering the correct email address and password, you should check to make sure your browser accepts "cookies." A smaller window will open with several tabs across the top. Click the Security tab. Make sure you are set to "Medium" or "Low" security. Go to the "Cookie Manager." Which computing platform you are using (Macintosh, Windows). Which browser you are currently using and the version (e.g., Internet Explorer 5.0, Netscape 6.0, etc.). We'll try to find your account and send your sign in information to you. You can add photos to your Photo Center account via the files on your computer, or your social media albums. There is no charge for uploading your photos with these methods, or for storing and sharing your uploaded photos. There is also no limit to the number of digital photos you can upload. Please note: Whenever you upload a digital photo to your online account, only a copy of it is placed in your account. The original digital photo file remains unchanged on your computer. For help in uploading photos, please follow the steps below. Locate and click the Upload button on the page. This will launch the uploads model. Either create a new album for your photos (default) or select an existing album to the left of the model. If you're uploading to a new album, you can add an optional title or date. If you're uploading to an existing album, click the button next to "Existing Album” and use the dropdown to find and select the album. Note: If you're creating large prints, photo books or other gifts with your photos, we recommend using "Full resolution" for the best results. See our recommended resolutions for more details. If you clicked “Select Photos” you will access your device's photo library. Select the photos you want to upload and click open to begin the upload process. You will see a progress bar tracking your photos' status as they upload. To add more photos to your current upload, click the "Add photos" button and select the existing album. The speed of your upload depends on the speed of your Internet connection. At this time, we only ship photos and photo products to the 50 states. We are not able to ship to Canada. Please note: We are not able to deliver to P.O. Boxes, APO or FPO addresses. You can pick up most Photo Center orders at your local Walmart. And when you do, you pay no shipping charges! Choose site to store as your delivery method and the shipping is free. Once you place your order, we will process the order and ship it to you. Estimated arrival time varies by product and the shipping method selected. To see an estimated arrival date, please click the "Estimated Arrival Date" on the product detail page before placing your order. You will also see the estimated arrival time when you select a delivery method during checkout, and we will send you an e-mail when your order ships. Your complete shopping satisfaction is our top priority. If an item you order from Walmart Photo does not meet your expectations, return it to us within 90 days of purchase. For refunds for incorrect, damaged or defective products, we will also refund any applicable shipping charges, less any adjustments, if appropriate. We are not able to refund shipping charges for items returned for other reasons. Take the item with all original packaging, accessories and packing slip to the Customer Service area at your local Walmart store. You will receive immediate credit for your return, either in the form of a refund (in the original method of payment) or as store credit. For Photo Products purchased online, you have the option of returning them by mail for a refund. Go to Walmart.com and click "Return an Item" at the bottom of the page. For items you purchased: Sign in and select the item from your list of items eligible for return. Please note: Orders for photo prints are not eligible and won't be displayed. For items received as gifts: Enter the order number and the "Received By" name from the packing slip. When the website shows you a return label, print it out. You must use this return label to ensure proper crediting of your refund. Pack the item securely. Make sure to enclose the packing slip and all original packaging and accessories. Attach the return label to the box and mail us the package. After we receive your item, our Returns Department will issue the refund to your original method of payment. Walmart Photo Centers reserve the right to require that you obtain a signed Copyright Release form from the photographer or studio for photographs that are signed, stamped or otherwise identified by any photographer or studio as copyrighted material, or any photograph that appears to have been taken by a professional photographer or studio, even if it is not marked with any sort of copyright. In such cases, negatives or digital images of a copyrighted image will be returned to you unprinted and you will be provided instructions on how to present Walmart with a signed Copyright Release. Copyright owner release forms and copyright permission release forms are available at the store Photo Center. Walmart will not assist in the copying of any state or federal document, including but not limited to, driver's licenses, passports and social security cards. 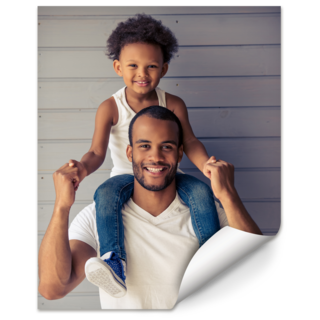 Walmart's Digital Photo Center offers free, unlimited storage of your online photos, whether they come from film you develop with us or from digital photos you upload to your Photo Center account. Your photos will remain in your Digital Photo Center online account for as long as you remain an active member of the service. 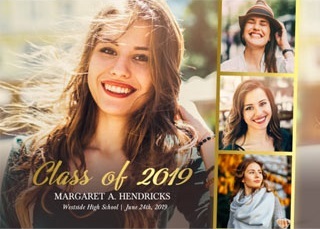 Active participation in the service is defined as sending in film for developing or purchasing photo merchandise (prints, posters, Photo Books, Photo CDs or hi-res downloads) through the website at least once every year (365 calendar days). We do not store all uploaded photos at their original resolution. When you upload very high-resolution photos, we will keep the original resolution for 90 days. After that we will reduce the resolution; these photos will still be able to produce high quality prints up to 8 x 10; For posters or other large prints, you may want to upload the pictures again. Note to digital camera users: We recommend keeping a backup copy of all photos you upload to Walmart's Digital Photo Center on your own computer. That way, you will always have a backup of your photos. Pixel sizes for online photos produced from film developing: The sizes below apply only to film developed at Walmart that we put into your account. They do not apply to digital photos you upload to your account.